Pentagon • Former Army officer was a 2012 Utah congressional candidate. 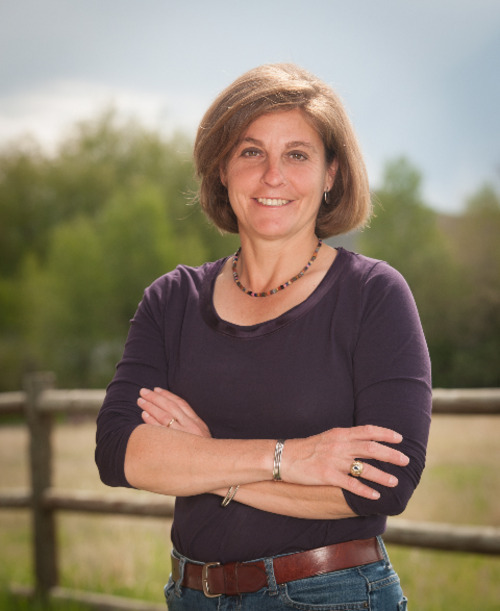 Donna McAleer is the Democratic challenger to Rep. Rob Bishop, R-Utah. Courtesy photo Keith Johnson Trib Mobile app shoot on TRAX March 17, 2013. Trent Nelson | The Salt Lake Tribune 1st District Congressional candidate Donna McAleer gives her concession speech at the Salt Lake Sheraton Hotel, Democratic headquarters on election night Tuesday November 6, 2012 in Salt Lake City. Paul Fraughton | Tribune file photo Donna McAleer, who challenged Rob Bishop in the 1st Congressional District, has been asked to join a committee that advises the secretary of Defense on military women's issues. Donna McAleer, a former Army officer who ran unsuccessfully for Congress last year, has been tapped for a committee that advises the secretary of Defense on military women&apos;s issues. "I&apos;m absolutely honored and thrilled," McAleer, of Park City, said Monday afternoon, after the Department of Defense announced the appointment of six new members of the Defense Advisory Committee on Women in the Services. 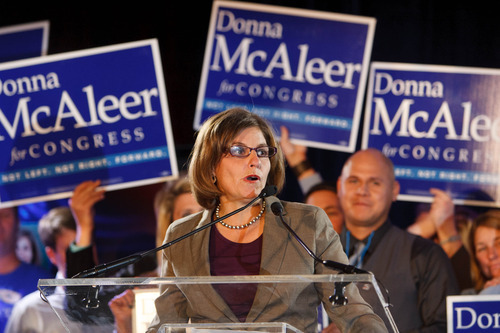 McAleer, a 1987 graduate of the U.S. Military Academy at West Point, lost to First District Rep. Rob Bishop, the Republican incumbent. McAleer said she attended her first meeting and was inducted into the committee in mid-March, but had to keep quiet about the appointment until the formal announcement on Monday. The committee was first established in 1951, and can have up to 20 members, both men and women. It provides the Defense secretary with advice and recommendations on such matters as attracting, treating, integrating and keeping women in the military. "It&apos;s an exciting time and it&apos;s a pivotal time," said McAleer, referring to the fact there are more women than ever serving in the military. Integrating them into combat roles and addressing the issue of sexual assault are two important issues, she said. Committee members meet four times yearly, visit military installations for research and also serve on committees  all as unpaid volunteers. In the Army, McAleer was stationed in Wurzburg, Germany, and served as a platoon leader, company executive officer and deputy public affairs officer with various units. She left in 1991 and was in the business world before came to Utah in 2000 with the hope of becoming an Olympian. A bobsled driver, she missed the 2002 Olympic team by two spots. 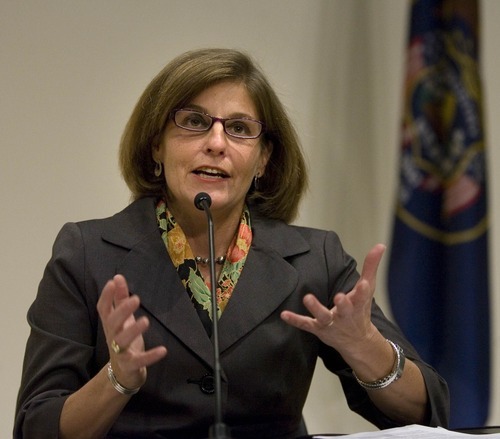 She is the former executive director of the People&apos;s Health Clinic in Summit County and wrote the book, Porcelain on Steel, Women of West Point&apos;s Long Gray Line.